Thinking back several years ago, paddle racers were only given displacement hulls and we surfed them, we raced downwind, and we used them in flat-water conditions. 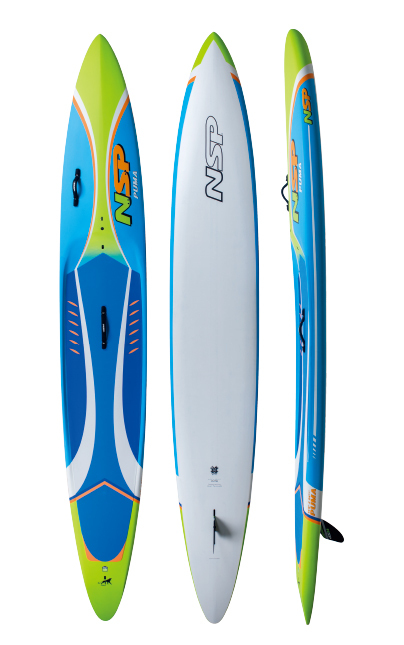 But today, we offer the NSP Ninja, giving paddlers the option of an incredibly fast flat-water shape. But the best part is that it works in water with textured conditions as well. 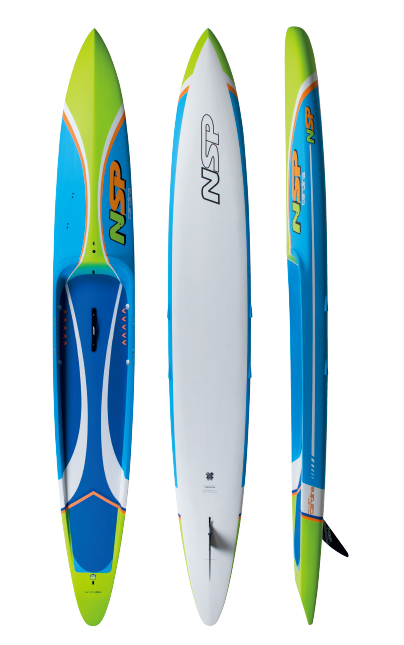 The increasing demands of flat-water racers who are eager to race ever more narrower shapes made us create the Ninja in a 21” and 24” width. The Ninja’s are all about efficiency, meaning riders get to retain as much energy as possible for longer runs. – Accelerator Vacuum System (AVS) for quick water drain out off the deck. The Ninja comes with neoprene handles on several balanced fixture points. 4 Drain holes quickly expel excess water from the dugout. A patented GORE® vent near the GoPro (or GPS) fixture point prevents a pressure build-up, allowing oxygen to pass but keeping out moisture. 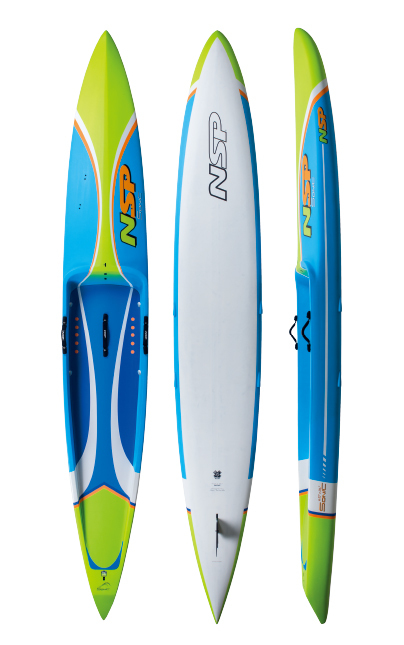 The 2019 Sonic performs in up- and crosswind conditions and is designed specifically as an open-water, downwind race board. It doesn’t compromise for maximum performance, with a pintail and recessed deck, the centre of gravity is lowered. Along with an optimised width, this is the most stable Sonic to date. A Sonic performs best when you hit some chop or string together bump after bump on big ocean swells. If a rider is not used to being in front of the pack in an elite field or simply battles for a win in a specific age group, this athlete will most certainly be faster on the 14/25.5 than the 14/24. All 2019 Sonics use the same rocker line as the 2018 models, 14/24 and 14/25.5. Pin-tailed and typically have more nose rocker to suit downwind conditions. The 2019 Sonic is using a new concept, a bottom that combines the added stability of the 2018 model and the extreme glide of our dominating Molokai designs. For 2019, the Sonic does no longer include the narrower lower rocker version that the Sonic 14/23 had in 2018. You can find elements of that shape in the brand new Carolina model. The Sonic comes with neoprene handles on several balanced fixture points. 4 Drain holes quickly expel excess water from the dugout. A patented GORE® vent near the GoPro (or GPS) fixture point prevents a pressure build-up, allowing oxygen to pass but keeping out moisture. 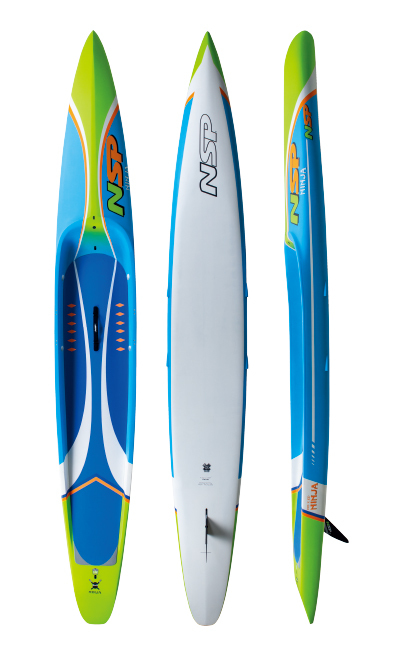 14’ SERIES – the narrower the board, the straighter the rocker. – 14/28 – is unchanged. The 2019 Puma is a shaped aimed at racers who are comfortable with a narrow shape. because of their improved technical racing skills and overall paddling abilities, they need less comfort in the bumps or waves, which translates to a lot more speed.